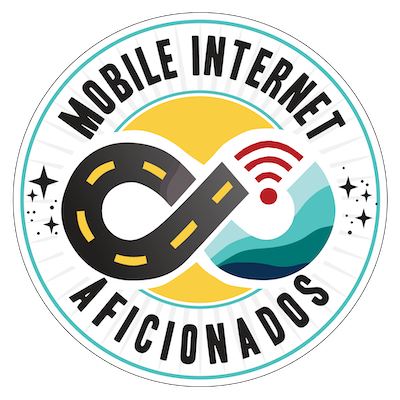 Every RVer and cruiser at some point has thought about connecting via someone else's provided Wi-Fi network. But all too often they must come to face a disappointing reality - on most public networks, you may at best get just one out of three. Even throwing expensive range extending technology at the problem can only go so far to improve the Wi-Fi connectivity situation. Better gear can help - but it can't work miracles. The truth is that Wi-Fi just isn't well suited to long range coverage. It takes a substantial investment to deploy even modestly fast Wi-Fi over an extended area. And it takes ongoing expertise to keep any network reliably up and performing well under load. To better manage expectations and the insatiable demands for connectivity - many public Wi-Fi networks have turned to charging for access, or placing limits on usage to better manage the demand. But even paid for "premium" Wi-Fi all too often still comes up lacking. Slower - Real world public Wi-Fi is often just 1mbps to 10mbps, compared to increasingly common peak speeds of over 50+ mbps on cellular. Harder to Use - Many public Wi-Fi networks have "captive portals" that force you to agree to terms, pay, or login with a password. 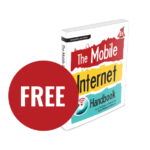 Jumping through these hoops can often be a challenge - particularly if you want to go get multiple devices online at once. Less Secure - On cellular, only your carrier (and law enforcement) can monitor what you are up to online. On public Wi-Fi networks, any machine connected to the same public network can attempt to snoop on you. Less Reliable - Wi-Fi signals are broadcast on unlicensed spectrum that is subject to interference and overloading. In many places there may be dozens of Wi-Fi networks attempting to share the same limited broadcast channels! Cellular networks on the other hand operate on dedicated licensed channels, and are not subject to this sort of free-for-all interference. It all adds up to Wi-Fi often being more trouble than its worth. But if you understand the limitations and realities, having gear to take advantage of public Wi-Fi can actually prove to be a valuable part of any nomad's connectivity arsenal. Particularly in places where cellular may be lacking - having the capability onboard to tap into distant public Wi-Fi sources can prove to be extremely worthwhile. It used to be common that the fastest, cheapest, and easiest way to get online was to use public Wi-Fi networks - but with the huge improvements in cellular over the years Wi-Fi is not nearly as often the best choice. But even with cellular becoming dominant many libraries, coffee shops, RV parks, marinas, breweries (yay! ), motels, municipal parks, and even fast food restaurants now offer free Wi-Fi. There are also numerous paid Wi-Fi networks to be found too. But though Wi-Fi has the potential to be blazingly fast over short distances, only a few public Wi-Fi networks actually deliver on this promise. How can you know where you might have the best odds of having great Wi-Fi? A public Wi-Fi hotspot is highly dependent upon its upstream source of internet (whether it is cable, DSL, satellite, etc.) and on how many other people are sharing that connection. In some cases, an overloaded upstream connection may feel little better than old dial-up modems. And in some remote places, the upstream connection may actually still BE a dial-up modem! In many situations, even though you may be able to get online via Wi-Fi – it may not even be worth the effort. To deliver a great Wi-Fi experience, an RV park, marina or other public facility needs to have invested in doing it right. And they may have made frustrating tradeoffs along the way. They need to be paying for enough backhaul capacity to fully meet the demand. Many public networks were designed to handle basic web surfing and email, and they are not paying for nearly enough network capacity to enable multiple people streaming video. They need to professionally deploy expensive gear to broadcast the signal over a broad area. Don't expect a restaurant or store to have spent money beaming their signal out into the parking lot. Even many campgrounds may have only deployed Wi-Fi into the office, rec center, or laundry room. They need to pay for ongoing upkeep and support to make sure the network stays up and reliable. Many campgrounds skimp here, and the network performance for everyone can be ruined by one ignorant user trying to pirate some movies via BitTorrent, gobbling up all available capacity in the process. In many remote areas, even if a campground is willing to make the investment in great Wi-Fi - better connectivity may not even be an option if there is no cable, fiber, or DSL service to be had within dozens of miles. 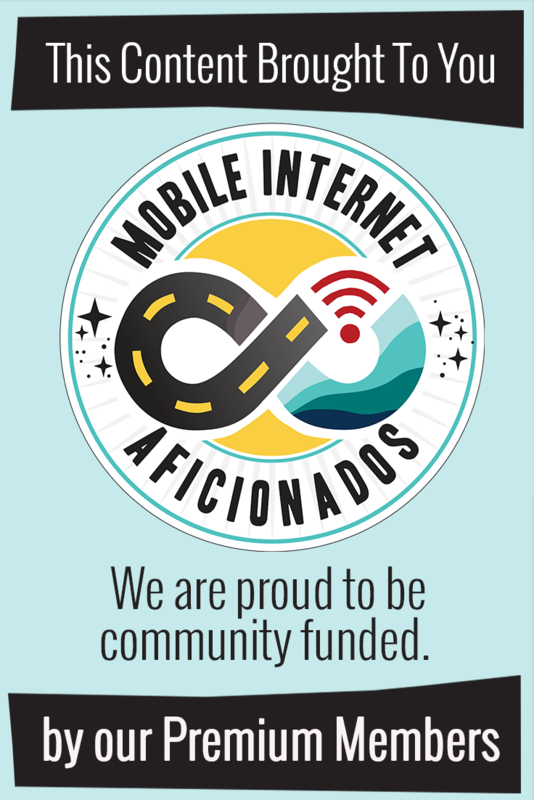 If the campground front office can't afford to get fast internet, there is no way that they will be able to offer fast Wi-Fi to anyone else. With so much cost and hassle required to deploy good Wi-Fi, it is no surprise that many campgrounds seem to have settled on doing the absolute bare minimum. But some places have made the investment - and these places can be islands of Wi-Fi nirvana. 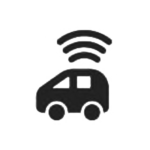 If Wi-Fi is important to you - seek out premium RV parks and marinas that have installed the necessary long range Wi-Fi gear and who have contracted for enough backhaul capacity to put it to use. Don't be afraid to call and ask pointed questions about whether their network is fast enough to stream, and check the latest campground reviews to confirm other's experiences. And always have a backup cellular plan, just in case the Wi-Fi lets you down! Finding Wi-Fi networks can be a challenge. Here's some guidance on where to look. Although you would think that a campground or marina that advertises “Free Wi-Fi!” as prominently as it does 50A power hook-ups would have worthwhile service, you may not find that to always be true. Providing Wi-Fi that can serve hundreds of bandwidth-hungry travelers, especially spread out over several acres, is very expensive to set up. Few locations have the IT expertise on staff to properly upkeep such a network either. Doing it right requires a substantial investment in routers and access points, as well as needing a pretty hefty internet backbone to tap into. Generally, even if the Wi-Fi is managed professionally, it is common for free networks to be only good enough for checking email and doing some basic surfing. All most travelers are assumed to need. And even well run Wi-Fi networks are often seriously overloaded. A connection that might be decent during the day while everyone is off exploring, might feel worse than dial-up during prime time. It can take just one or two people trying to stream a movie, video chatting with the grandkids, or downloading a huge file to bring the entire Wi-Fi network to a grinding halt. Some locations have outsourced the chore of providing Wi-Fi to a provider, like Tengo Internet or onSpot, who manage the bandwidth and network. Sometimes they charge extra for service, cap how much data you can use, or limit how many devices you can connect at once. The theory is that these limits help fairly spread out the available capacity, and setting up a paid network keeps freeloaders who might not even be customers from tapping into the network. Professionally managed Wi-Fi connections should in theory end up being faster and more reliable than open and free. Unfortunately that’s a theory that doesn’t always manifest into reality. 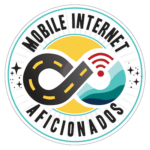 It’s best to look at campground and marina provided Wi-Fi as a bonus if it’s usable, but not to plan around it for anything critical or bandwidth intensive. You may find great Wi-Fi – fast and without data caps. But these networks tend to be the exception, not the rule. Do this Before Investing in Expensive Gear! A lot of people invest a small fortune in long-range Wi-Fi hardware, only to report back disappointedly that it hardly made any difference. In a lot of these cases there just wasn’t any worthwhile service to work with in the first place. 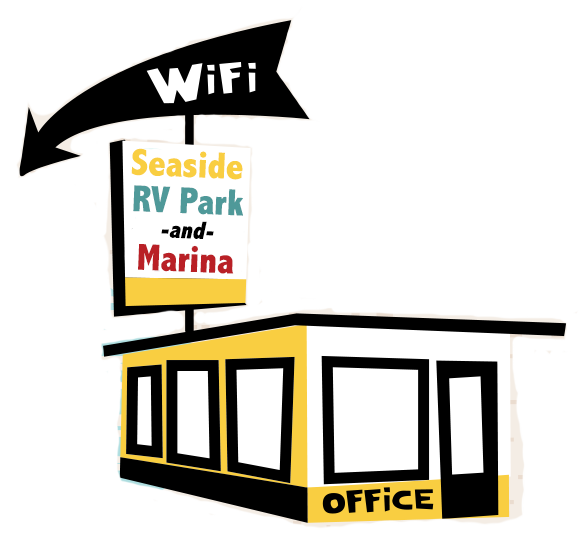 If the campground or marina has slow and unreliable Wi-Fi in the front office near the hotspot, no amount of technology will be able to make things any better further away. Before you invest time and money in installing extra gear, find out if the hotspot you’re trying to connect to is actually worth the effort. 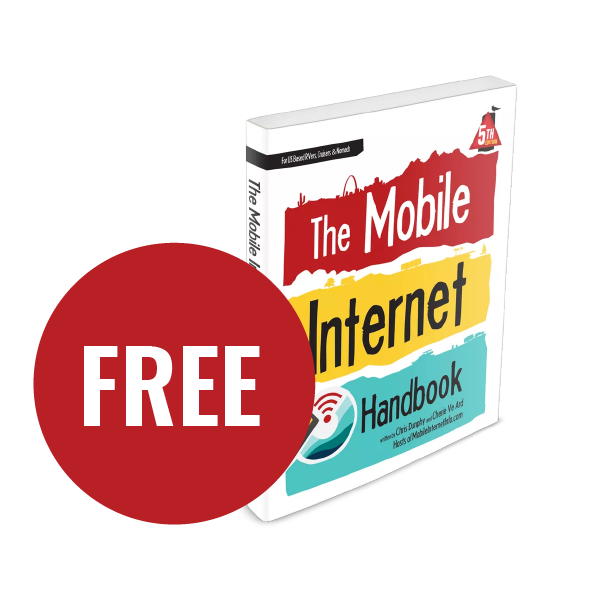 Take your laptop, phone, or tablet up as close to the hotspot as you can manage. Try out some typical web surfing. If the experience is a good one, then using long range Wi-Fi extending gear may help. But if not, save yourself some frustration and find another way online. If the performance is bad up close, there is nothing further you can do to improve it, except perhaps complain to management. Tip: If you can time-shift your internet use, an otherwise congested Wi-Fi network may give great performance at non-peak times. For example, a Wi-Fi network may be completely congested during prime time as everyone tries to stream Netflix, but it could be fast and usable later that night or earlier in the day. 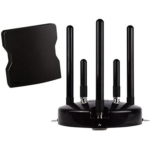 The range in which you can reach and utilize a Wi-Fi signal is highly dependent upon the capability of the antenna and radio in your device. Though nearly every laptop and mobile gadget made now comes with Wi-Fi capabilities built in, most aren’t engineered for distance. And few devices make any provision for using an external Wi-Fi antenna, so other than balancing your laptop in a window, there is no way to increase your Wi-Fi range without adding another device to the mix. Phones, Tables & Laptops - Most small gadgets (including phones, tablets, etc) have very minimal Wi-Fi range. Laptops typically can connect via Wi-Fi further away than phones. Wi-Fi Range Extenders - These types of devices connect to a remote Wi-Fi network and then rebroadcast it, acting like a relay. 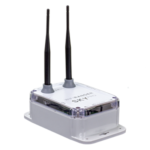 Indoor Wi-Fi-as-WAN Routers - These special routers connect to a more remote network, and use that as the upstream data source for your local private network. Many Wi-Fi-as-WAN routers have relatively high-power Wi-Fi radios. High-Power USB Wi-Fi Network Adapters - These are external Wi-Fi radios that you can plug into a laptop via USB, sometimes greatly enhancing Wi-Fi range. These often come with a long cable to allow placement in a window, or even outdoors. Outdoor Antennas - A Wi-Fi antenna mounted outside can get line of sight benefits, and increase your range. 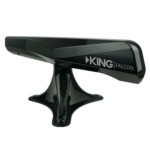 Outdoor CPE - Pairing an antenna with the radio outside gets the best range performance with line of sight, reducing signal loss and increasing transmit power. We’ll explain some of the more advanced options below. 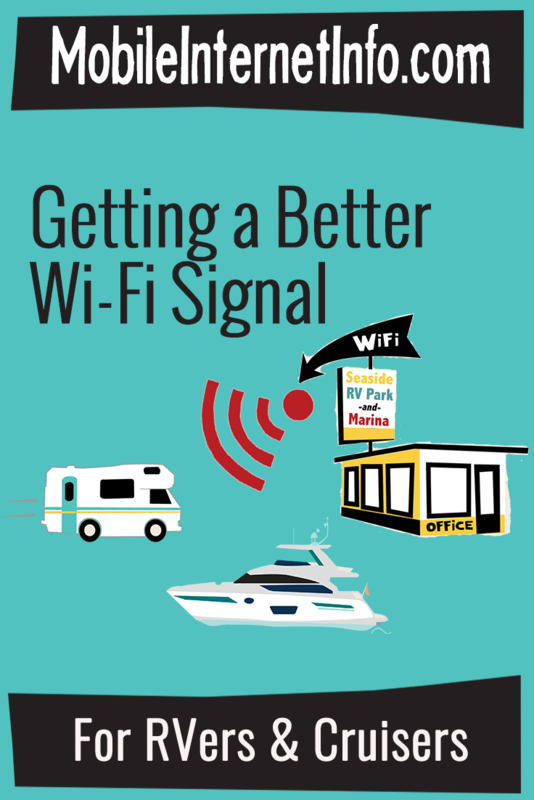 Here are some of the popular products appropriate for RVers and boaters that can help with long range Wi-Fi. Click on each for more information. For all of the Wi-Fi extending products we track, please visit our Long Range Wi-Fi Extending Gear Center. 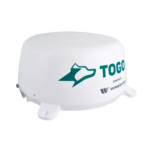 Start-up RV company Togo's initial mobile internet offering with $360/year unlimited AT&T plan available. 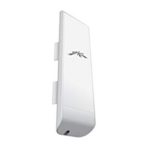 A WiFi and router combination offering an automatically-aimed high-gain directional antenna with an interior router. AT&T's data plans available with select RV-specific mobile internet gear. Including $360/year for unlimited data. 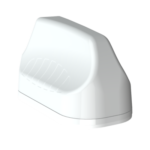 The 3-v2 series of low-profile combination antennas by Poynting offer MIMO cellular and WiFi support as well as GPS/GLONASS coverage. A basic and affordable option with an external mounted high gain antenna. 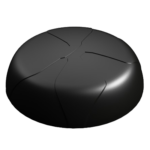 A device incorporating both cellular and WiFi antennas in one low-profile package. A basic and affordable option that only provides WiFi extending. 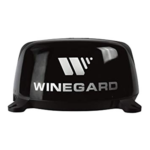 Winegard's second attempt at a Wi-Fi extender and mobile router solution. Winegard's unique-looking Wi-Fi extender and mobile router solution is an interesting addition to the market. Long range, pole mounted WiFi antenna by AirMax. 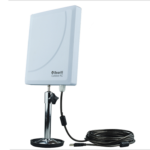 WiFiRanger's flagship roof mounted long range Wi-FI system supports Bothe 2.4GHz and 5GHz networks. 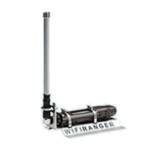 WiFiRanger's low-profile roof mounted SkyPro features dual antennas for MIMO-enhanced Wi-Fi speeds. From range & radio power, two-way communication and network congestion - this section helps you better understand the challenges of utilizing public Wi-Fi sources so you can set your expectations. This section focuses on explaining the differences between Wi-Fi as WAN, Wi-Fi extending/repeating and how CPEs differ from antenna only solutions. 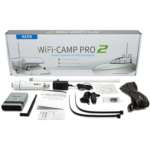 A common challenge of using campground or marina Wi-Fi networks is that they require a special login via a webpage - which some gear can have difficulty with. This section gets a bit geeky, going more in-depth into Wi-Fi technology itself, explaining the differences in different generations of standards. Using public Wi-Fi networks comes with some increased risks - this section goes over safe surfing practices. Including malware, VPNs and using smart passwords. We share some real world examples of our extensive range testing using some of the top Wi-Fi range extending solutions on the market.